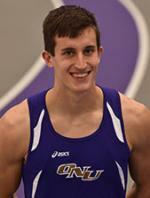 I Came to ONU Because: I want to pursue academic and athletic success. Experience: Prepped at Eureka High School in Eureka, Ill. Selected all-state in 2011 and 2012 in 4x100m, 400m, and 4x400m.